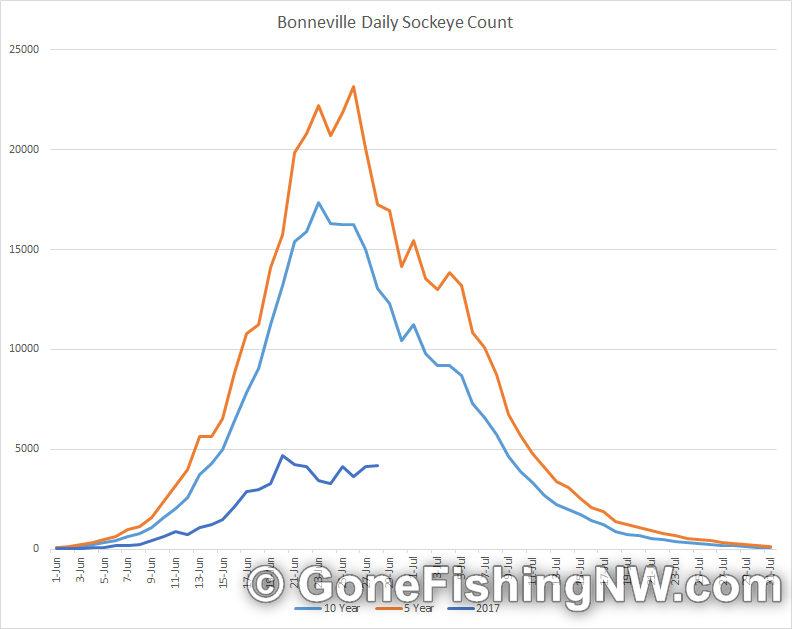 Its now August and we are well past the peak for this year’s sockeye return. Even though there are still stragglers trickling in, and locations still open for fishing, the run is essentially over – at least from the perspective of knowing the overall return numbers. If you are are still getting out fishing for this fish, that is great. Check out the sockeye guide for some helpful information to get limits in your boat. 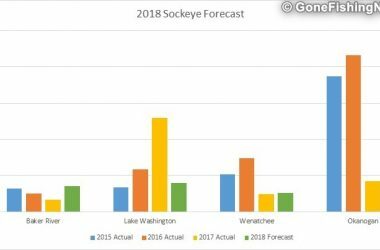 Lake Washington’s return this year was disappointing. With a relatively low forecast of 39k, we knew it would take a miracle to meet the insane escapement goal of 350k to have a fishery. However with a total of 28k fish over the locks we didn’t even meet the forecast. It perplexes me why the escapement goal is go high. I don’t know of any other fishery that is even in the same ballpark for the escapement goal. These are hatchery fish, transplanted orgininally from Baker Lake. There is no logical reason I can think of why a sport fishery would not be allowed. 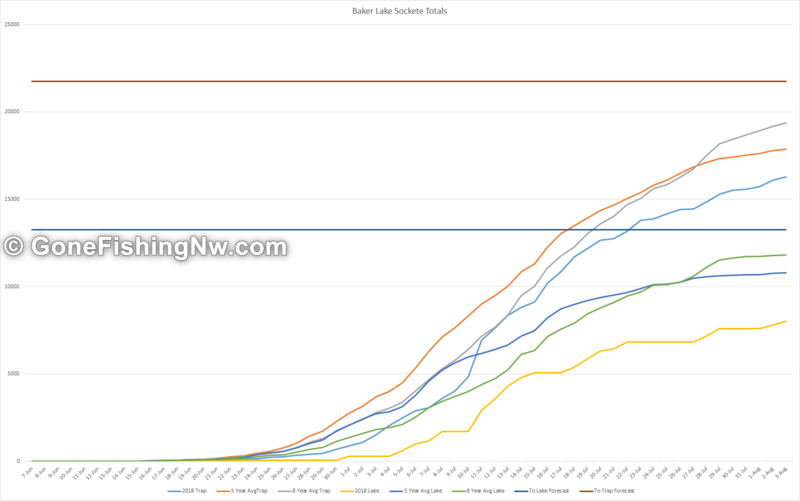 After all much lower numbers are allow fishing at Baker Lake, and Lake Wenatchee. 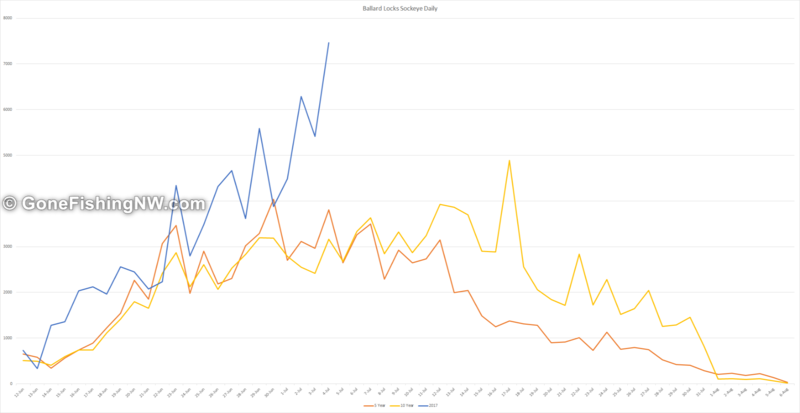 Even though the hatchery on the Cedar pumps out huge number of smolt, the returns remain low. Hot water, predadation and ocean conditions are considered the main culprits. 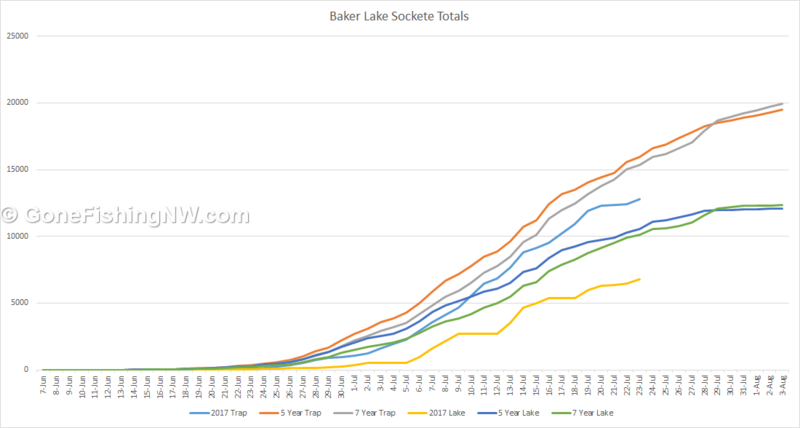 Even though the Baker Lake sockeye run came in below estimates fishing at the lake was better than last year. Tribal netting does happen in the river before the fish trap, so with a pre-season forecast of 35k we would expect to see about 22k after netting to make it to the trap. Right now, the total is at 16k to the trap. 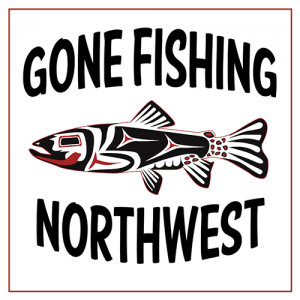 Unfortunately, the recreational fishery in the lake is the last in line to get fish after the tribes and hatchery, so only 8k have been sent to the lake, rather than over 13k we’d see if the estimate was reached. This is another fishery where the management fustrates me. Consistently the estimates are high, and the tribes harvest more than a 50% share. 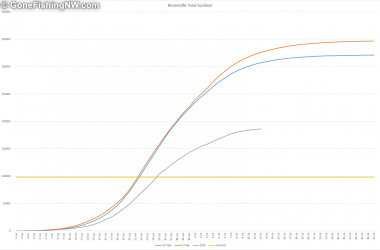 Yet reading between the lines of a recent presentation from the WDFW it seems that they know their forecast models have a high error rate, but yet have little plans to make real changes. 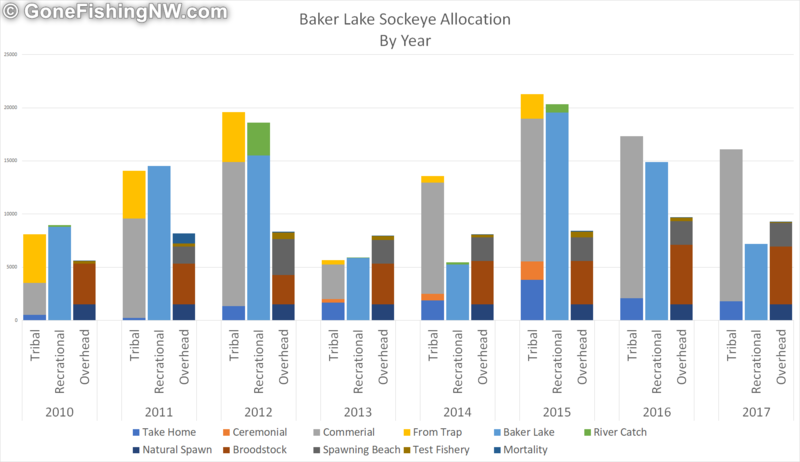 The most significant change proposed is to increase river fishing opporunties, even though historically that has very little angler effort – for example in 2016 only 181 sockeye were reported as being caught in the Skagit. The combined run blew away esstimtes with over 193k fish crossing Bonneville dam. This prompted the WDFW to open the upper Columbia to sockeye fishing. 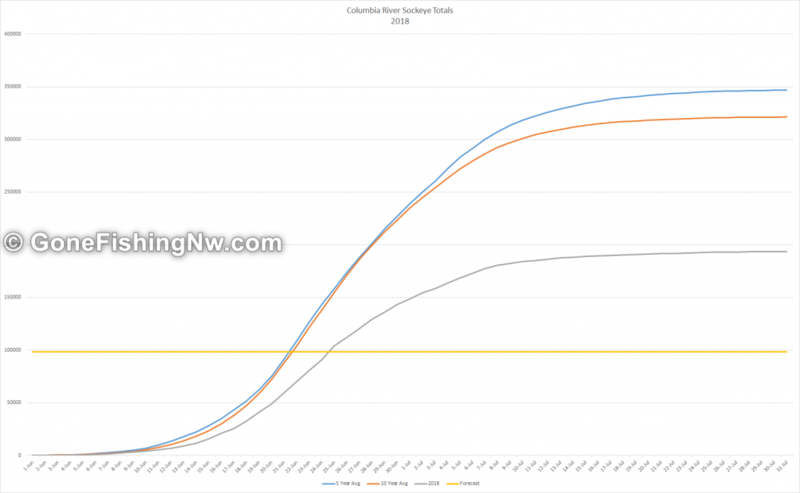 Unforortunately in the views of most people the unexpected increase was only for the Okanogan run. The Lake Wenatchee run is looking like it will be signifcantly under estimates and nowhere near enough for a fishery. 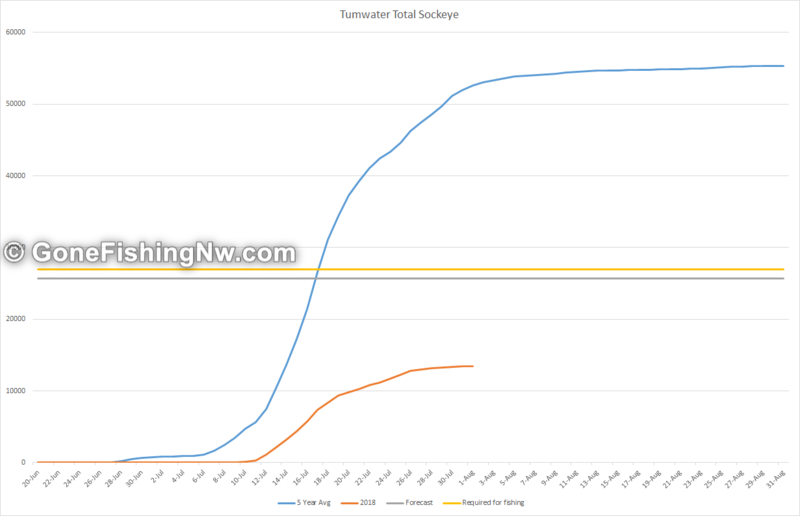 27k are needed in Lake Wenatchee for a fishery, and only 12k fish have been counted at Tumwater dam. 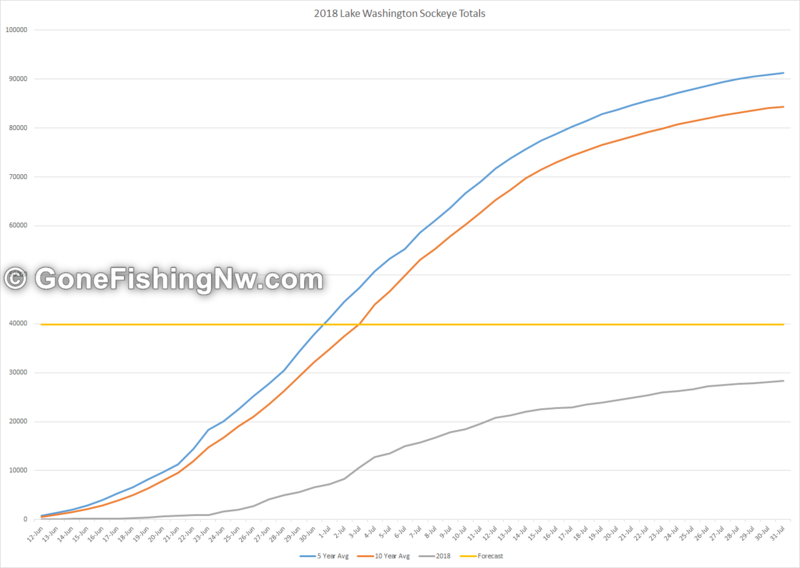 There are about 15k fish which haven’t made it far enough to know if they are going to turn up the Wenatchee or continue on to the Okanogan – so even if the majority of those fish go to Lake Wenatachee it will still not be enough for a fishery. 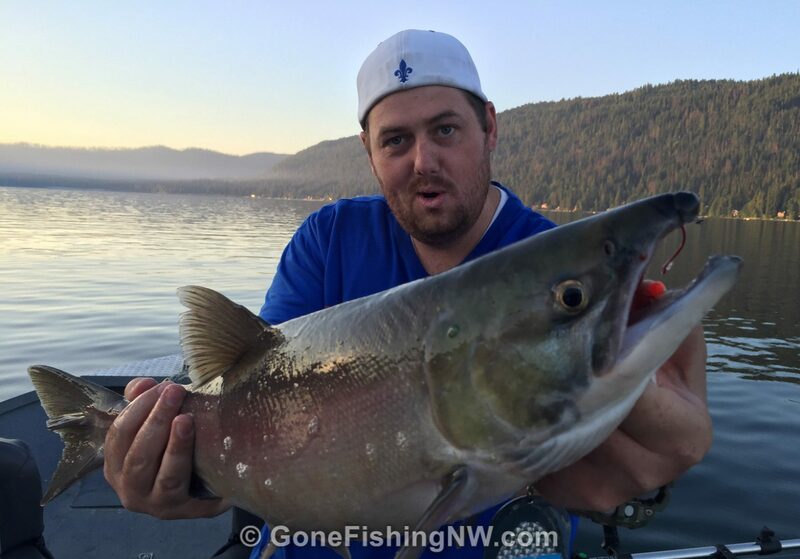 At this point if you want to go fishing for sockeye you’ll want to target Brewster Pool on the Columbia. 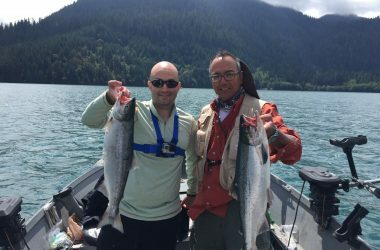 If you prefer scenery over limits, then Baker Lake is a good choice, although the derby last weekend had low results with only 40 fish for 60 anglers participating.